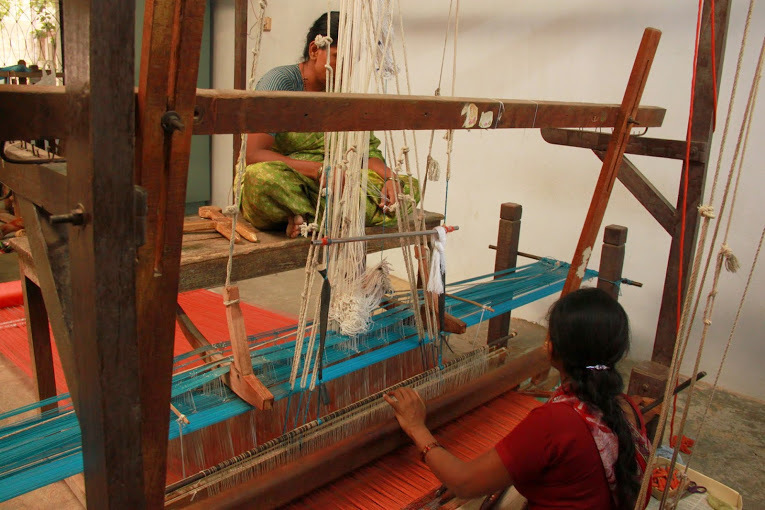 Suraiya Hasan, or Suraiya Apa as she is fondly called, is a bundle of energy as she flits around her weaving unit on the outskirts of Hyderabad, Andhra Pradesh. The clacking of looms fills the air around this octogenarian as she goes about instructing her class of weavers on the nearly-extinct technique of himroo weaving. Himroo is a fabric made of silk and cotton, which is grown locally in Aurangabad. This weave of paisleys was brought to Aurangabad during the reign of Mohammad Tughlaq, when he moved his capital from Delhi to Daulatabad, Aurangabad. The term himroo originated from the Persian word ‘Hum-ruh’, which means ‘similar’ and is a replication of Kum-khwab, a rich textured fabric woven with golden and silver threads and meant for the royal families in olden days. It is said that on being gifted a Himroo Shawl during his visit to the Deccan region, renowned traveller Marco Polo wrote in his memoirs “It is as fine as a spider’s web and Kings and Queens of any country will take pride in wearing it”. Suraiya Hasan has been credited with single-handedly reviving Persian brocades, most significantly the Mashru, Himroo, Jamavar and Paithani. She set up the weaving unit in 1985, after her husband passed away. Having worked with the Government on textiles prior to her move here, she began by setting up a small Himroo unit with two retired weavers and one loom. Slowly, she started employing widows as the men didn’t want to leave their homes to work in a small village. There is also an English-medium school located next to the weaving unit where the weaver women educate their children for free. 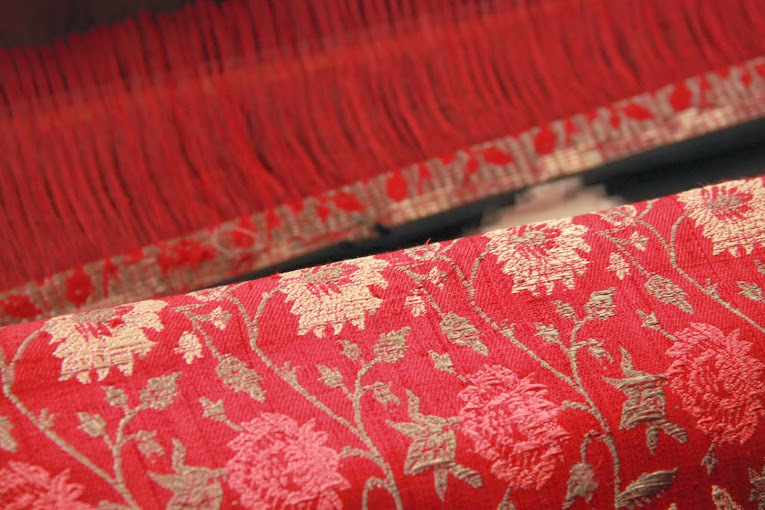 Himroo products are mostly produced on Jacquard looms and the fabric is an extra-weft weaving technique employing a mixture of silk, cotton and silver or gold threads. The patterns carry floral motifs with intricate geometric borders. 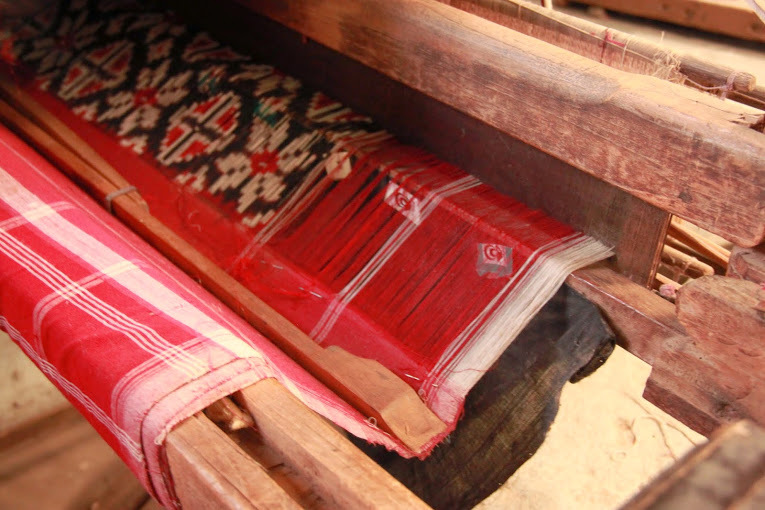 In her effort to resurrect forgotten weaves, she has also set up a loom for Telia Rumal, an oil-coated fabric that was highly prized in ancient Hyderabad. Today there are very few remaining weavers of the Telia Rumal and Suraiya Hasan’s work in this craft has been a significant step in reviving it. Having come this far with her efforts of reviving erstwhile traditions and weaving techniques, Suraiya Hasan has created a legacy that can only be carried forward by an equally passionate person. Sadly, weaving has lost pride of place among the new generation within weaving families who prefer to move to simpler vocations that promise higher remuneration. However, Suraiya Apa is hopeful that even if a handful of handloom connoisseurs come together, they will not let the looms fall silent. 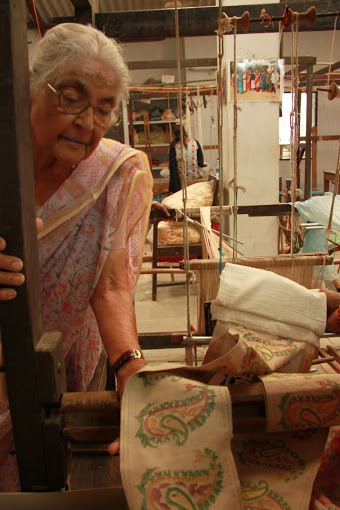 Posted in Andhra Pradesh, Crafts, History, People of India, Profiles, Revival, Textiles, Weaving, Women and tagged Aurangabad, Handloom, Heritage, Himroo, Hyderabad, Revival, Suraiya Hasan, Textiles. Bookmark the permalink.